I’m thinking these words as I’m writing them – and you’re most likely hearing them in your head. Maybe you’re even reading them aloud. Now consider this: In a world where face-to-face communication and even phone conversations are increasingly marginalised in favour of text messages, emails, tweets, Facebook status updates and comments, etc., it can be argued that writing is actually the dominant form of human communication today. If this is true, then the dominant form of human communication is telepathy! This is all well and good – especially if you happen to be a writer / professional telepath – but in an age of instant and constant telepathic communication, you have to admit – that’s a lot of thinking! And it’s worth asking: Is that much thinking healthy? Without balance, you’ll just burn out your brain. Without room to breathe and relax, you won’t be able to breathe or relax, and that in turn means more stress gets placed on the body and on the mind until malfunction or total breakdown occurs. It makes logical sense, then, to make a little time to take a break and take care of yourself every now and then. And with this set of meditative tracks, Andrew Ford (aka Inner Pieces) and Hayley Chalwin have provided an ideal soundtrack to said periods of respite. A blow-by-blow account of the contents of these tracks would defeat their purpose. But we cannot recommend them enough. Think of these tracks as a set of pit stops on TMMP’s ongoing journey through the often hectic and hyperactive world of music. One word of advice: Don’t forget to breathe! 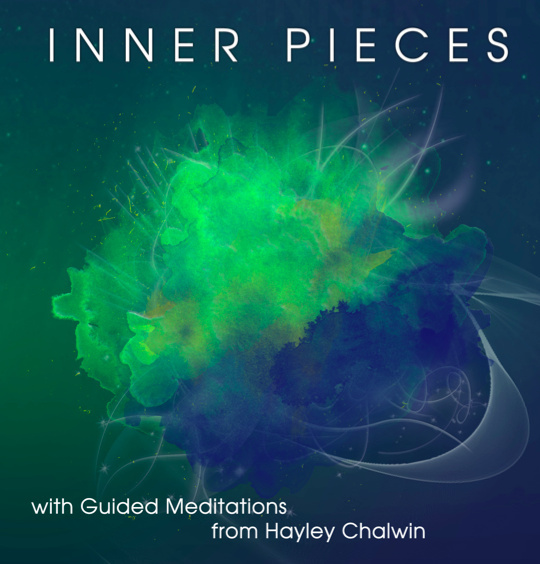 Connect with Inner Pieces on Twitter and Facebook.